Imagine if the centre of the town or city where you live and its people, shops, houses and all suddenly plunged hundreds of feet into a hole in the ground. It happened in southeast Sicily in 1693, long enough ago you might think for it not to matter, but the signs are still there, as Richard Cawthorne found. 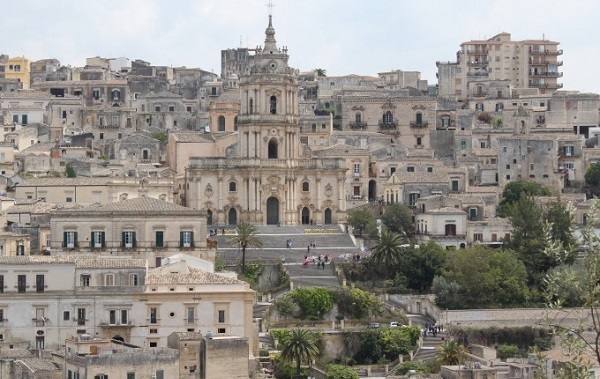 The earthquake opened a rift for miles along the Val di Noto, effectively cutting in half its principal settlements of Catania, Modica, Ragusa and Noto itself. Large parts of each community were left at the top of what had suddenly become a cliff edge; the rest lay scattered far below. In all, the disaster affected an area of almost 3,500sq mi (5,600sq km) and destroyed at least 45 cities. More than 60,000 people, about half the population of the southeast, were killed. In Catania, 16,000 of an estimated population of 20,000 lost their lives. There have been other earthquakes in Sicily but what happened after the 1693 event left an indelible mark on the country today and makes it a particularly fascinating and poignant place to visit. Basically, what could not be salvaged was replaced by new towns, but the medieval remnants of the likes of Noto Antica were used as the foundation of reconstruction projects that in Modica and Ragusa for example created new settlements in the chasm left by the earthquake, resulting in upper and lower sections of the same city. Houses, palaces, churches and monasteries were progressively rebuilt in a distinctive Siclian Baroque style and the cities are now recognised as a single World Heritage Site not only because of that design but also because they were created within a time span of about 50 years after the tragedy across a relatively large geographical area. My trip last month was my first to Sicily; I have a fondness for Italy in general but had never been this far south. The island was on my to-do list and the tipping point was that most suspect of incentives, a TV programme. Preparing for the trip, I was advised good naturedly that there is one word beginning with ‘M’ visitors to Sicily should best avoid. It’s a cliché, it does not reflect the way things are now and it’s mildly offensive to most of the population. Fair enough. But another ‘M’ word is more than welcome, and that is Montalbano, the name of the lead character, a police commissario, or inspector, in an Italian TV series based on books by author Andrea Camilleri and set around the very same Modica and Ragusa. The programmes were picked up by BBC4 in 1999 for its Saturday-night foreign-language programme slot and became an unexpected success, not least because of the sweeping opening shots of the locations featured. According to the Sicily specialists at Long Travel who arranged my trip for me, the series not only enjoyed TV fame and made a star of lead actor Luca Zingaretti but has had a massive influence on the tourist trade of a “hitherto relative backwater” on the island. I admit to being a fan. I had read most of the books (a bit stilted in translation) but, more to the point, as an enthusiastic traveller I wanted to see the places so temptingly portrayed on screen. Not being of the 30min-here, 30min somewhere-else variety of traveller, Mrs C and I planned a two-week stay with plenty of spare time built in and elected to cover just the southeastern corner of the island on this visit. Another consideration was that I am not keen on driving on mountain roads and there are a lot of those in Sicily, so we researched local bus services, which I always recommend anyway as a good way to meet the people and get the sense of a place. 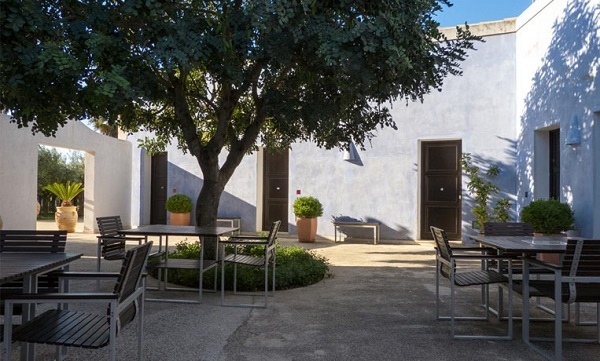 We were based at Cambiocavallo, a boutique resort just outside the seaside town of Pozzallo. The town is popular and can be crowded in season but beginning to quieten by September. Cambiocavallo boasts eight rooms round a courtyard and a central building set in lavish gardens looking on to farmland. There is a pool, home-cooked food using produce from the countryside around and the whole place was peaceful and comfortable with good service. Highly recommended. From there, we journeyed by car or, if circumstances called for it, by bus to the earthquake towns to marvel at the architecture and follow Montalbano’s footsteps. Ragusa now has several Michelin-starred restaurants to its name while Modica is noted for the local chocolate, which uses ancient Aztec recipes and is the focus of an annual festival. Both communities feature regularly in the TV series, while the detective’s headquarters is actually the town hall of another Baroque city, Scicli. Best known to fans is the policeman’s home, called Marinella in the series but in reality the small and attractive seaside resort of Punta Secca, where road signs now point the way to ‘Casa de Montalbano’. We drank coffee at Caffe Torre Scalambri next to the famous residence and spoke to a party of British visitors on the same trail as we were and equally impressed. As regular visitors will know, there is much more to explore in Sicily but this maiden trip was an ideal introduction to a multi-faceted and intriguing destination. As Schwarzenegger once said, I’ll be back.